Reinforcing its status as one of the iGaming industry’s premier content providers, Betsoft Gaming has been named Best Slot Provider at the 2018 Starlet Awards. Operated by 5 Star iGaming Media, the Starlet Awards aim to showcase the best of the B2B value chain. The exclusive annual event highlights success, ethics, and innovation in 15 different categories, with winners being chosen by a panel of expert judges. “We are obviously thrilled to have been named Best Slot Provider, especially in light of the fierce competition we faced,” said Betsoft’s Marketing Director, Annamaria Anastasi. The 2018 Starlet Awards were hotly contested – especially in the game-oriented categories, where a wide variety of game producers and studios vied for recognition in a small number of areas. 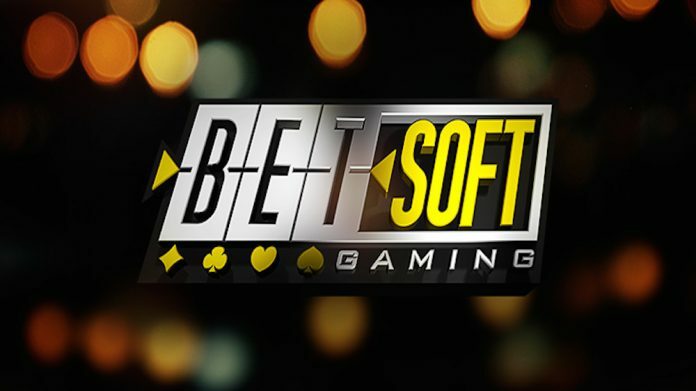 Nominations for Slot Provider of the Year were particularly crowded, with Betsoft emerging in front of a pack of more than 15 of the industry’s biggest names. Although Starlet awards criteria remain secret, Betsoft has demonstrated its unmatched skill in creating sought-after cinematic slot games multiple times in the judging period. Recent releases include the social-inspired Sugar Pop 2, the innovative, jackpot-driven Reels of Wealth, and the mythical Golden Owl of Athena. Due for launch later this year is Betsoft’s marquee, genre-redefining game Max Quest: Wrath of Ra, which promises to usher in a new era of gaming, and will secure the company’s prestige in the slot sector for the coming year and beyond. “Our output has always been popular with operators in regulated markets around the world, but I am particularly proud of the calibre of experiences we have created this year. We took the time to focus on developing proprietary technologies and recruiting the best in-house talent, and I know the entire Betsoft team is extremely happy to see their efforts validated with such a prestigious industry award,” said Anastasi.